Description Nuclear speckled pattern with striking variability in intensity with the strongest staining in G2 phase and weakest/negative staining in G1. The centromeres are positive only in prometaphase and metaphase, revealing multiple aligned small and faint dots. 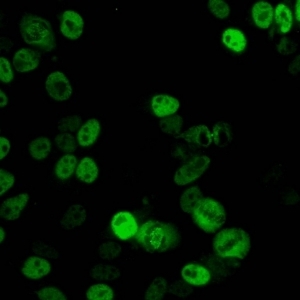 Prometaphase cells frequently show a weak staining of the nuclear envelope. 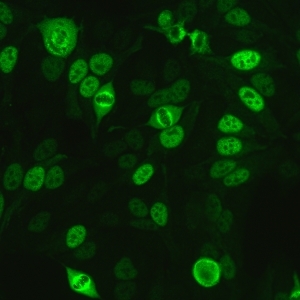 During anaphase and telophase, some sera demonstrate intense staining in the ring located at the midzone (i.e. 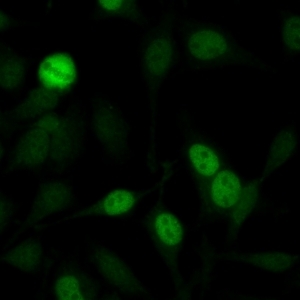 mid-body, stem body) where the division of the daughter cells is taking place. 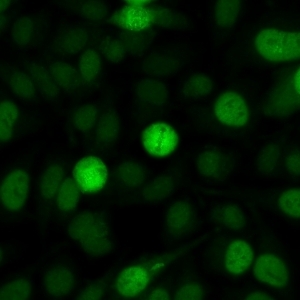 The surrounding cytoplasm of the mitotic cells is diffusely stained.